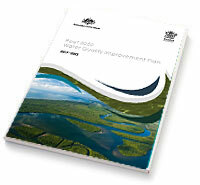 The Reef 2050 Water Quality Improvement Plan 2017–2022 (PDF, 3.6MB) guides how industry, government and the community will work together to improve the quality of water flowing to the Great Barrier Reef. The plan builds on 15 years of efforts by governments at all levels working in partnership with landholders, natural resource managers, industry, research and conservation groups through successive Reef Water Quality Protection Plans. The scope of the plan has been broadened to reflect its position as a nested plan under the Reef 2050 Long-Term Sustainability Plan. It addresses all land-based sources of water pollution including run-off from urban, industrial and public lands; while recognising the majority of pollution comes from agricultural activities. It includes social, cultural and economic values for the first time. Watch this video to learn more about the plan. 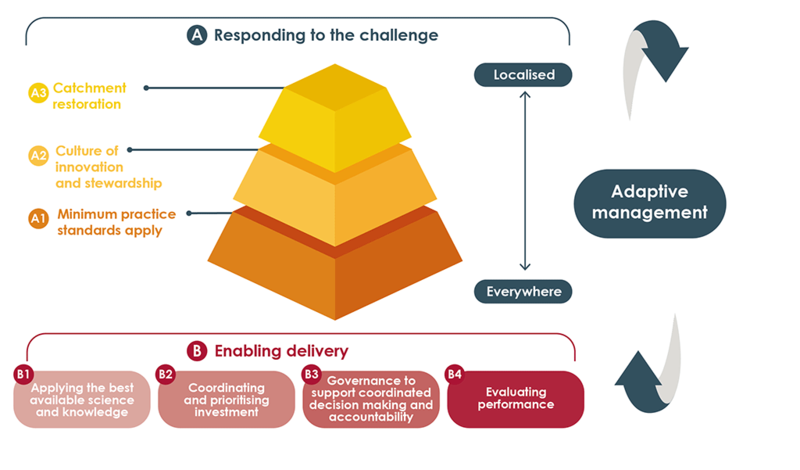 A supporting Investment table (PDF, 256.0KB) details more than $600 million in approved Australian and Queensland government investment to deliver actions in the plan through to 2022. The table will be updated as additional investments are announced. The total government investment in improving Reef water quality since 2013 through to 2024 is $900 million. Water quality targets have been set for the catchments adjacent to the Great Barrier Reef, based on modelling and other scientific information. The targets define the reduction in nutrients and fine sediment required by 2025. Read more about the targets. Spatial priorities for water quality improvement have also been identified based on the 2017 Scientific Consensus Statement Chapter Three – The risk from anthropogenic pollutants to Great Barrier Reef coastal and marine ecosystems (PDF, 8.4MB) . For more information, read the Frequently asked questions (PDF, 271.9KB) .